Users can easily download the image size they need. We can customize the optional watermark applied to your images. Use this tool to add high quality images to your site that your customers can search for and download the appropriate size. Of course the system will not make the Medium and/or Large image if the original file is too small. 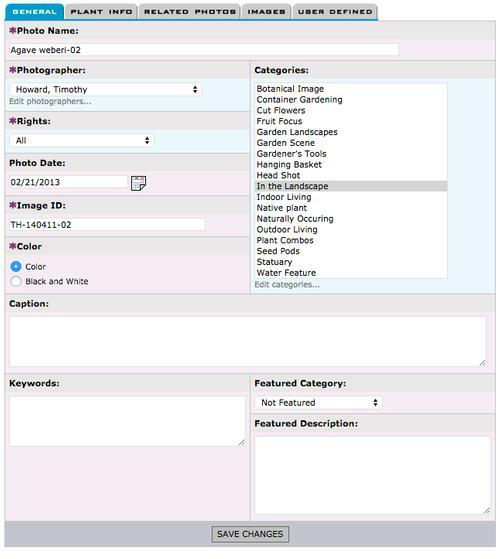 You can assign an image to one or more records in your plant database so the image can be found with relevant searches. Site visitors will also be able to access Stock Photo Manager images from the relevant plant detail pages. 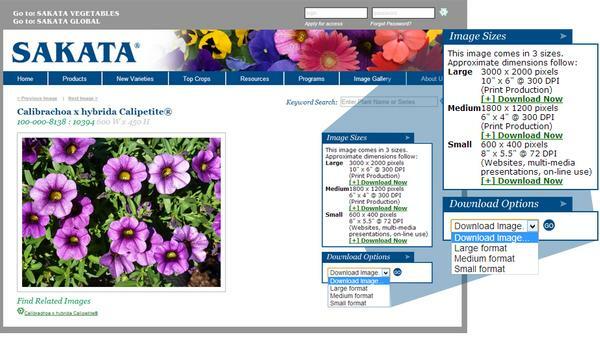 You can assign an image to one or more plant records from your plant library. This allows the image to be found when someone searches for a plant the image is assigned to. Depending on your preference, you can have your Image Gallery before or after login. Additionally, we can automatically apply a watermark to an image (see Image #3 for an example). If you are interested in selling images online, we can also take care of that. 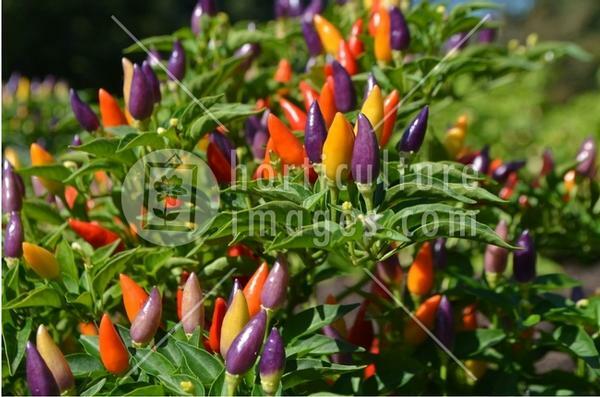 For example, check out www.HorticultureImages.com. If you have non-plant images, give us a call and we can implement the same technology that links to prodcucts or other types of photography.